In the classical Gaussian analysis the Clark-Ocone formula can be written in the form $$ F=\mathbf EF+\int\mathbf E_t\partial_t FdW_t, $$ where the function (the random variable) $F$ is square integrable with respect to the Gaussian measure and differentiable by Hida; $\mathbf E$ denotes the expectation; $\mathbf E_t$ denotes the conditional expectation with respect to the full $\sigma$-algebra that is generated by a Wiener process $W$ up to the point of time $t$; $\partial_\cdot F$ is the Hida derivative of $F$; $\int\circ (t)dW_t$ denotes the It\^o stochastic integral with respect to the Wiener process. This formula has applications in the stochastic analysis and in the financial mathematics. In this paper we generalize the Clark-Ocone formula to spaces of test and generalized functions of the so--called Meixner white noise analysis, in which instead of the Gaussian measure one uses the so--called generalized Meixner measure $\mu$ (depending on parameters, $\mu$ can be the Gaussian, Poissonian, Gamma measure etc.). In particular, we study properties of integrands in our (Clark-Ocone type) formulas. Using a general approach that covers the cases of Gaussian, Poissonian, Gamma, Pascal and Meixner measures on an infinite- dimensional space, we construct a general integration by parts formula for analysis connected with each of these measures. Our consideration is based on the constructions of the extended stochastic integral and the stochastic derivative that are connected with the structure of the extended Fock space. We introduce and study Hida-type stochastic derivatives and stochastic differential operators on the parametrized Kondratiev-type spaces of regular generalized functions of Meixner white noise. In particular, we study the interconnection between the stochastic integration and differentiation. Our researches are based on the general approach that covers the Gaussian, Poissonian, Gamma, Pascal and Meixner cases. 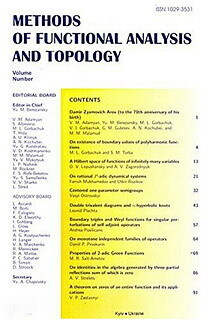 We introduce an extended stochastic integral and construct elements of the Wick calculus on the Kondratiev-type spaces of regular and nonregular gene alized functions, study the interconnection between the extended stochastic integration and the Wick calculus, and consider examples of stochastic equations with Wick-type nonlinearity. Our researches are based on the general approach that covers the Gaussian, Poissonian, Gamma, Pascal and Meixner analyses. We introduce and study a generalized stochastic derivative on the Kondratiev-type space of regular generalized functions of Gamma white noise. Properties of this derivative are quite analogous to the properties of the stochastic derivative in the Gaussian analysis. As an example we calculate the generalized stochastic derivative of the solution of some stochastic equation with Wick-type nonlinearity.